SoundMagic PL11 review | What Hi-Fi? The discreet PL11s are pleasant in appearance and feel comfortable enough in your ears. As well as the 'phones, SoundMAGIC provides you with a carry pouch and rubberised cable wrap. An in-line clip helps to prevent the cable from flapping about or snagging. Start off with a hip-hop track such as T.I. 's Dead and Gone and the first thing that hits you is that they serve up a serious amount of bass. There are others which exhibit more poise and agility, but at this money you can't grumble too much. 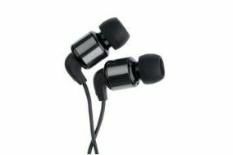 Some budget in-ears can be afflicted by thin and splashy treble, but the PL11s sound relatively smooth and calm. Not a bad effort.